The term, “chimney rebuilding” usually involves a total tear down of your existing chimney. A total rebuilding of your chimney can usually be avoided if you catch problems early on and have a qualified chimney professional take a look. Oftentimes, broken bricks or deteriorated masonry joints can be repaired with chimney tuckpointing work. That involves a stone mason filling in the broken mortar joints in-between the bricks of your chimney. If your chimney has gone past the point of simple tuckpointing and is showing signs of structural vulnerability like broken bricks, water leakage or large cracks in the masonry then your chimney might be a candidate for a rebuild. 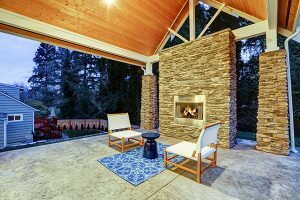 Your chimney is one of the few features of your home that is not protected by your roof and therefore can take a lot of abuse from rain, snow, wind and intense heat. If your chimney is absorbing a lot of moisture from rain and snow, the constant thawing and re-freezing of that water will lead to cracks in the masonry and the loss of structural integrity of the chimney itself. 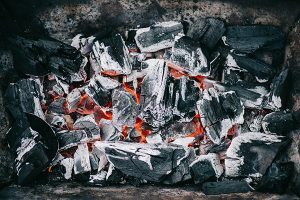 Chicago winters and summers involve lots of water, wind, rain and snow and that’s a bad combination for any chimney that goes unchecked by a professional. If your chimney’s mortar joints are beyond the repair potential of tuckpointing work, then your chimney is ready to be torn down and rebuilt. Sometimes a chimney rebuilding can be avoided if the mortar joints surrounding the bricks are still in good to fair condition. 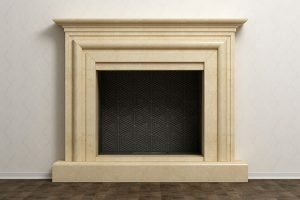 What Parts of Your Chimney Need to Be Rebuilt? A chimney rebuilding doesn’t necessarily mean that every part of your chimney needs to be torn down and replaced. In some cases, only the brick work needs to be replaced. If water damage has occurred, it’s very likely that the metal parts of your chimney have rusted and need to be replaced. In other cases, the smokebox, hearth and firebox can be left alone. You’ll need a full inspection of your chimney to determine what needs to be done to ensure safe operation of your chimney. The first way to prevent a chimney rebuild in the future is to get setup with an annual chimney inspection. Not only will a trained chimney technician be able to identify and prevent problems before they start, but they’ll also clean your chimney to make sure your fireplace is safe to use each year. As you’ve read so far, water infiltration into your chimney is a leading cause of deterioration. You can stop problems before they start with a good chimney waterproofing service. The waterproofing agent that is applied to your chimney will allow excess water vapors to come out of your chimney but will stop water from penetrating your bricks and getting into your chimney. 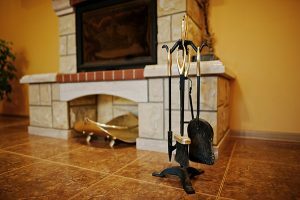 Another way to prevent a full chimney rebuild is to hire a reputable and trusted chimney sweep like Early Times to perform maintenance on your chimney. Continued maintenance by an unqualified chimney service that is not tuckpointing properly will cause many problems down the road. Early Times has been a trusted Chicago chimney sweep and chimney service since 1985. We’ve been trusted to repair and rebuild thousands of chimneys both large and small. If your chimney is a serious candidate for rebuilding, you can call on Early Times to get the job done right, on budget and on schedule.